The events during Pitti Immagine Uomo in Florence are some of the most important dates for the worldwide and Italian fashion. Palazzo Borghese is the perfect event venue in Florence and also the ideal location to organise different kind of events. Every year our venue is chosen by fashion houses for exhibitions, gala events or fashion shows. 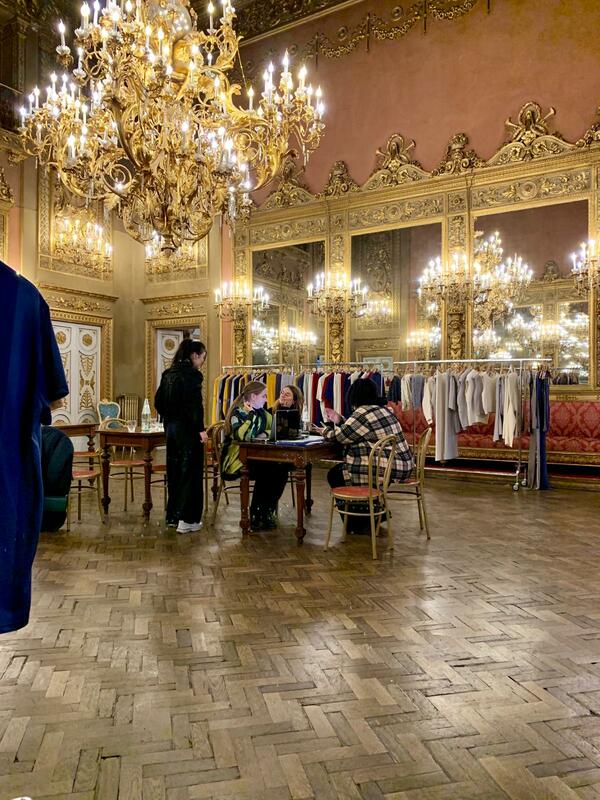 This year the danish fashion designer Astrid Andersen, who took over the creative direction of Fila Fjord, chose our palazzo as her hedquarter. 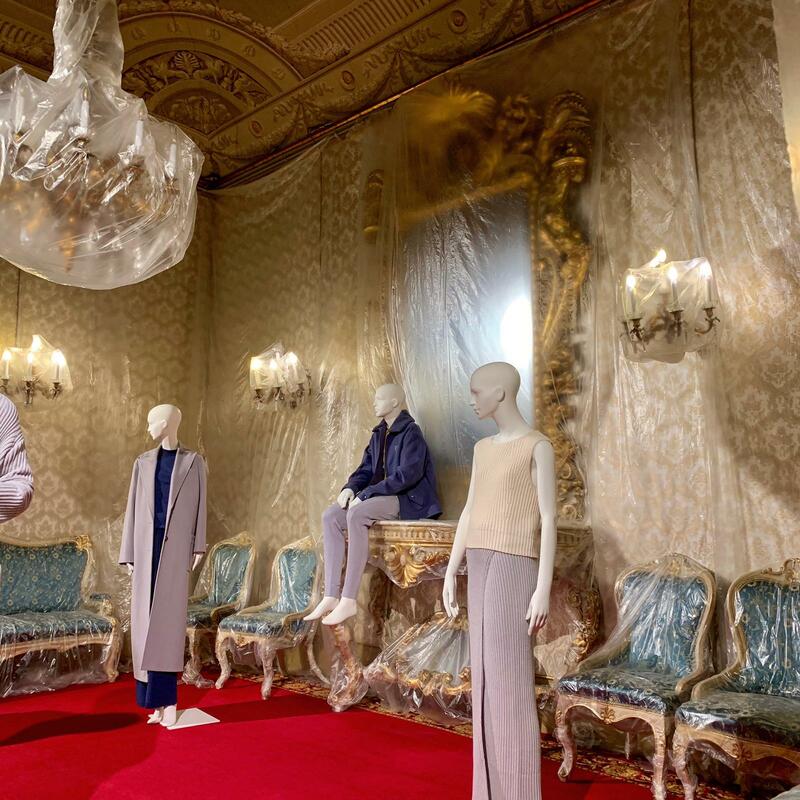 All the halls of Palazzo Borghese were the venue for the launch of the new collection. The curious exhibition saw dummies opposed to real men with their faces hidden by white stockings. The collection of casual wear, whose slogan is The measure of perfection, includes clothing, footwear, accessories and bags. All the new clothes will be characterized by high quality materials, made to last over time, and by a clear and minimal style. 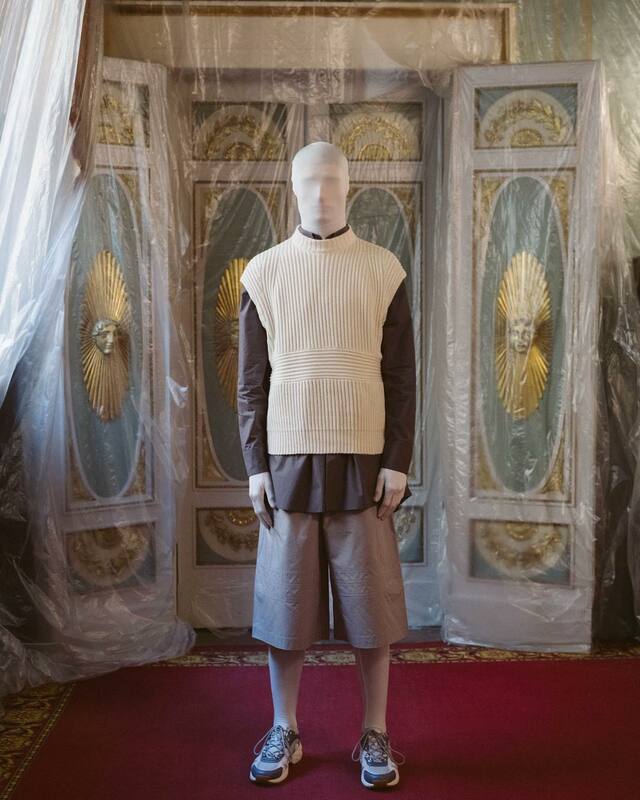 The choreography packed the whole building with large and transparent Nylon to cover up all the furnitures of the palace, giving great importance to the clothes. This way the audience’s attention was focus on the items also thanks to the music all around the palace.